Bi-State Development (BSD) is committed to maximizing contracting opportunities for small businesses owned and operated by disadvantaged individuals as outlined in 49 CFR Part 26.  Bi-State Development’s contracting opportunities include goods and services which support the operation and maintenance of its facilities, vehicles and equipment, professional services and construction. As a recipient of federal financial assistance via Federal Transit Administration (FTA), BSD is required to maintain a Disadvantaged Business Enterprise (DBE) Program. The BSD Office of Supplier Diversity (OSD) administers the DBE Program as outlined in U.S. Department of Transportation 49 CFR Part 26 and ensures that DBE firms are afforded viable opportunities to participate on BSD projects agency wide. OSD sets the agency’s overall goal three year goal and monitors progress toward goal attainment; sets contract goals on various construction projects, goods and service contracts; manages the DBE Certification Program, monitors and enforces 49 CFR Part 26 on its projects funded in whole or part with federal funds and provides various outreach services. Bi-State Development as required by the U.S. Department of Transportation’s regulations, contained under 49 CFR Part 26, announces the proposed Disadvantaged Business Enterprise goal for the Union Station Tunnel project. This project is funded in whole or part by the U.S. Department of Transportation (USDOT) via the Federal Transit Administration (FTA). The DBE Overall Goal for the Union Station Tunnel Project is 19.5%. The methodology used in establishing the overall DBE goal will be available for review and inspection during Bi-State Development’s normal business hours, 8:00a.m. to 5:00 p.m. at Bi-State Development-Headquarters, One Metropolitan Square, 211 North Broadway, Suite 700, St. Louis, Missouri 63102-2795. The proposed overall DBE goal will be available for inspection for 30 days following the date of this notice at the above address. Bidding Opportunities- Kiewit Infrastructure Co.